Physics Puzzle Games, Logic and Brain Games, Spot The Difference, Construction and Educational Games. Break the bubbles by matching 3 or more in any combination. 2 game modes and 2 game types offer hours of fun. Fill in the missing section of the railroad track by building a sturdy train bridge. Drive across to pass each level. Fold the paper into the required shape shown by the dotted lines. Achieve accurate origami to complete the level. Each level in this game is mini-puzzle which provides a graphical clue to solving it and opening the box. Move the character and magical objects with the mouse to provide a safe platform to find the exit door in each level. Grow and shrink shapes by uniting small shapes with large shapes. Aim and shoot cannon balls at the shapes. Slice up the shapes to remove them off the screen. Remove all shapes before you run out of slices to pass the level. Remove the platforms at the right time and in the right order get your cat to the fish. Position the wrecking ball in the right position and let it fall. Different balls are used for different materials. Each cell has a number indicating the power, the higher this number, the more points the cell can transfer. The netbot combinations are indicated in the left panel, use all the netbots on the screen to make the connections. Evade enemies and watch out for laser doors as you dispose of radioactive waste. Move your missile through the maze. Successfully place all the items without losing any of them. Stack all the items the right way so that nothing falls. No counting, no equations, just estimate your answer to each challenge as quickly as possible. Wake up the elephant and stop his deafening snoring. Each animal has a different function. Help Bark the dog retrieve his friends from the monster vortex in the ultimate monster-maze puzzle adventure. Each level provides different tools, some limited others unlimited, and you must destroy the entire building. You'll need to think 'out of the box' in this puzzling flash game. See if you're smart enough to finish this quiz. Build structurally sound bridges in order to transport the Christmas presents back to the sleigh. Starting out with only the four basic elements; water, fire, air and earth. Mix the elements to create new ones. Launch five projectiles per round in an attempt to clear as many gems from the screen as possible in this flash game. Watch the faithful workers attempt to transport their cargo across the bridges that you build for them. Place explosives in the correct positions along the support beams to demolish the building to the ground. Copy the image onto your canvas using the stencils provided for each level and a primary paint pallette to use. Drop the ball at the appropriate time to reach the hole at the bottom and avoid the spinning obstacles. Unique Flash game that combines the accurate Box2D physics engine with the fun of blowing things up. Mechanical sandbox using realistic physics to provide the player with the tools necessary to build cars, tanks, machines. Build a sturdy enough bridge to transport the workers and their cargo across. Guide the laser to the exit by dragging the blocks provided into the correct positions. Physics game that has the player to breaking chains and sending the red and green balls into their appropriate canisters. Move shapes around to create lines of 4 or more to remove them from the board. Follow the story of a girl falling asleep in class and entering a dream world filled with strange and colorful apparitions. Bounce the cursor off of the barriers in the right order to reach the exit. 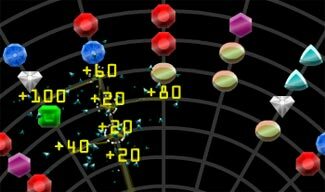 Multiplayer game which consists of ten rounds where the goal is to end up with the most buggle connections. Build a highest tower that you can using familiar tetris pieces. find the right order of steps necessary to take a blank ball and end up with the appropriately designed ball. Turn on all of the lights on the Christmas tree by rotating the circuits to make a closed connection. Complete each level igniting the torches in the room. Im not sure if this game has an ending, but it certainly is challenging and fun to play. Your objective in this game is to make simple mathematical equations. Duplicate the pattern shown to accomplish each level. Connect the same colored goo balls by launching them from the goo tube. Clear the screen to complete each level. Draw lines through gems to remove them from the board. Remove all of the barrier gems before the time runs out. Select the numbers in each row and column that add up to the total marked at the top and along the side of the board. Axon simulates actual neuron development in the brain. Neurons make connections by growing axons to other cells. Collect stars and make it to the end in this puzzle trigger game. Place triggers to direct the ball. Clear every level by predicting the merging of the molecules. Eliminate all the atoms in the correct order. Use timing and logic skills to collect the beakers and save blue and green blocks, while eliminating the red blocks. Place housing and apartment developments to accumulate points and expand your city. Objects will direct the particles differently. Match the right color particles with the right chakras in this puzzle game. Run over all the zombies. Use timing, puzzle solving skills, and physics to eliminate all the zombies. Fight your enemies and reduce their life to zero. Find the longest path of the same blocks in the puzzle. Satisfy any destructive urges by joining a crane operator and his wrecking ball to bring down buildings. Remove the striped yellow blocks in the right order and timing to knock the troll into the water. Crack all of the chickens and eggs by breaking the blocks and support columns in the correct order. Turn an empty valley into a thriving town by using the seven resources you have in this simulation game. Expand your hive by gaining control of neighboring cells. Evolve your bots and grow your population. A visually stimulating particle-based physics game. The objective is to place gravity wells around giant gas stars. Drag and drop the shapes provided in each level in such a way to balance all of the pieces on top of the base. A great brain-teaser which combines a mix of puzzles with straight-forward and unorthodox solutions. A fun physics puzzle game which has the player rolling and jumping a small red ball through 20+ levels. Civiballs 2 includes many new levels with increasing difficulty which can keep the player entertained for some time. Carve away the picture into slices while avoiding the bouncing balls. Fat Slice is a fun and addicting game. New levels, updated graphics, and new kinds of meeblings. Use the meeblings unique special abilities to progress. Hack into various computer systems by sending packets through ports and hitting the green root node. Rotate objects in order to position the green box inside the green square. Rotate the game pieces within the white bracket to match the given puzzle pattern for each level. Pass each level by jumping the gem from block to block and leaving only the checkered block remaining. Navigate the white box through each set of architectural blueprints to reach the "X" mark. Rotate the playfield clockwise or counter-clockwise to direct the ball to the goal while avoiding spikes and other pitfalls. Play through 40 levels of super stacking action. Stack each piece in the correct way to create and maintain balance. Rotate the given 3D block pattern until it fits through the corresponding wall. Use the meeblings unique special abilities to progress through this colorful puzzle game. Rearrange the vertices (blue circles) on the board to eliminate any overlapping edges. Excellent physics based game offers an open-ended building environment for working virtual robots and machines. Balance the two platforms by adding weights of different sizes. Nicely designed game which includes lots of fun levels to play and a detailed level editor to make your own. Use you mouse to click on a floating circle. Each level gets more difficult by requiring you to create chain reactions. Amasingly fun game, brilliant idea, addictive and challenging. Move the black box around with your mouse to collect the other floating black blocks and avoiding the red blocks. Physics based game requiring player to create customized devices using moving components to achieve goals.